They’re not the prettiest bagels you have ever laid eyes on, but they are the best you have ever tasted. They are just, well, the best. Nothing is better than a fresh homemade bagel. Especially when it is covered in a crunchy cinnamon sugar-coating. This is a bagel that makes people’s eyes roll back upon their first bite. This is the kind of bagel that stops people dead in their tracks. Today it is Cinnamon Crunch Bagel time! Not pancakes, not toast, not waffles. Not eggs. Not even cinnamon rolls. Yes, all those things are delicious. Really delicious, but today is all about the homemade bagel. The bagel you’re gonna want to have around at all times. You know for when that cinnamon sugar craving hits you hard and fast. These are going to be what you want. When we used to live in Cleveland my mom would sometimes buy the cinnamon crunch bagels from Panera. I remember those things being the best thing ever! Gosh my brothers and I loved them. We would toast them and then load them up with butter. Best breakfast ever. I have not been to Panera in years, but that doesn’t mean I forgot about these bagels. They are not a bagel you forget. Really these bagels could not be better. 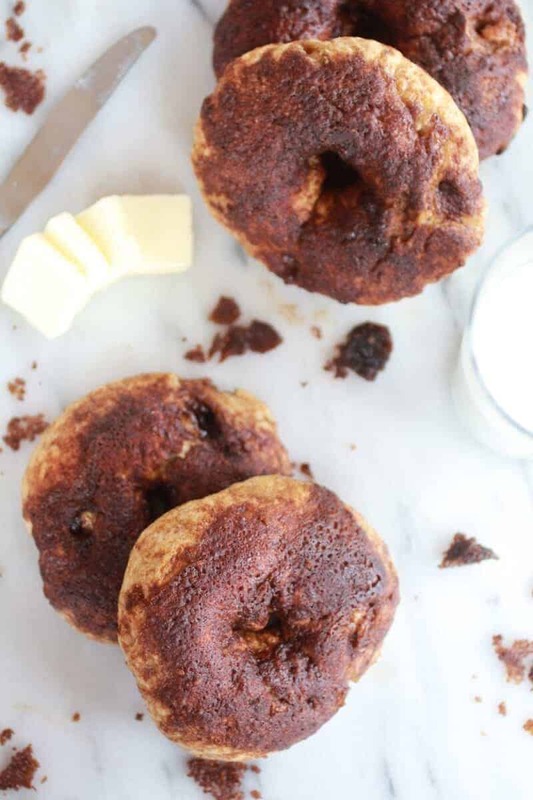 They are everything you love about a bagel + everything you love about a cinnamon roll + a little crunch! And the crunch? The crunch is good. 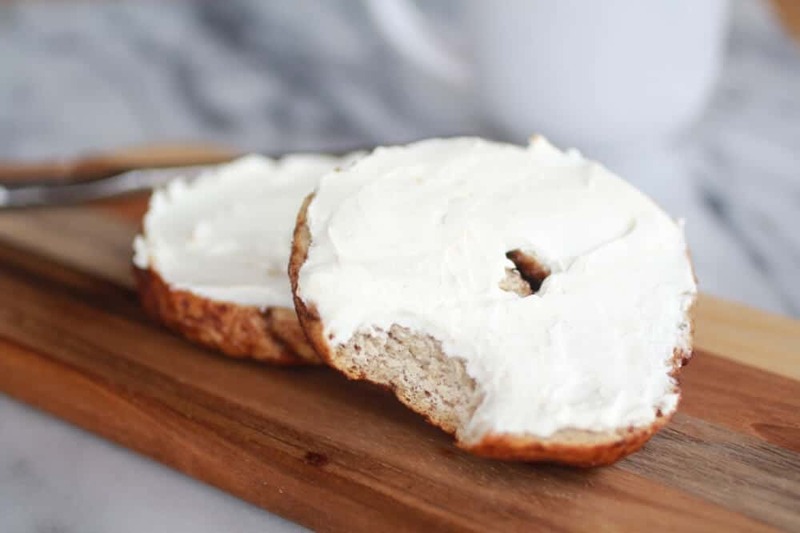 It’s Sunday so hopefully you have absolutely nothing to do and since these bagels are calling your name you should probably stop listening (reading) to me babble and just go make them. You should even double the recipe and throw some in the freezer. Ah yes, you should do that ,it’s a genius idea! In the bowl of your electric mixer fitted with a dough hook, combine water, yeast and honey, stir to combine, then let sit until foamy, about 10-15 minutes. Once foamy, gradually add in salt, cinnamon, 2 cups of flour and 2 cups of white whole wheat flour with the mixer on low speed. After 5 minutes or so, if the dough is still sticky, add the remaining bread flour and white whole wheat flour a 1/4 cup at a time until the dough pulls away from the sides of the bowl. Knead for 3 minutes longer and then knead in the white chocolate chips and knead until evenly distributed. Remove the dough from the bowl (it should be thick and stiffer than most yeast breads) and knead a few times with your hands, forming it into a ball. Some of the white chocolate chips are going to want to fall out, just push them back in. Brush a large bowl with oil. Place the dough inside, turning to coat. Cover the bowl with a wet towel or plastic wrap. Allow the dough to rise in a warm place until doubled in size – about 1 hour. Once doubled, punch down the dough and place on your counter, using a little more flour if needed to prevent from sticking. Divide dough into 13-15 balls. Sometimes I use my scale to weigh the dough and then figure out how big each piece should be, but for these bagels I just eyeballed it and ended up with some larger bagels and and some smaller. Line two baking sheets with parchment paper and preheat the oven to 425 degrees. Working with one piece of dough at a time, shape it into a ball and then use your fingers to poke a hole in the middle. Gently stretch the dough until the hole is about 2 inches big. Place the bagel on the prepared baking sheet. Repeat with remaining pieces of dough. Cover the baking sheet lightly with plastic and let the bagels rise for about 15-20 minutes. While the bagels rise, melt the butter for the topping. In a separate bowl combine the dry ingredients for the crunchy topping (brown sugar, sugar, cinnamon). Don't mix the dry ingredients with the butter. Meanwhile, bring a large pot of water to a boil. Line a baking sheet with parchment paper and spray with nonstick cooking spray. When the bagels are ready, lower two or three at a time into the water. Boil for 3 minutes then flip to the other side and boil for 1 additional minute. Using a slotted spoon or spider strainer, remove the bagels from the pot letting the water drain. Transfer to the second baking sheet you prepared. Continue until you've boiled all of the bagels. Once the bagels are all boiled, brush each bagel with butter and then generously sprinkle cinnamon sugar. Try to clump the cinnamon sugar together so some of it will get crunchy (I did not use all the cinnamon sugar, I had about a 1/4 cup left). 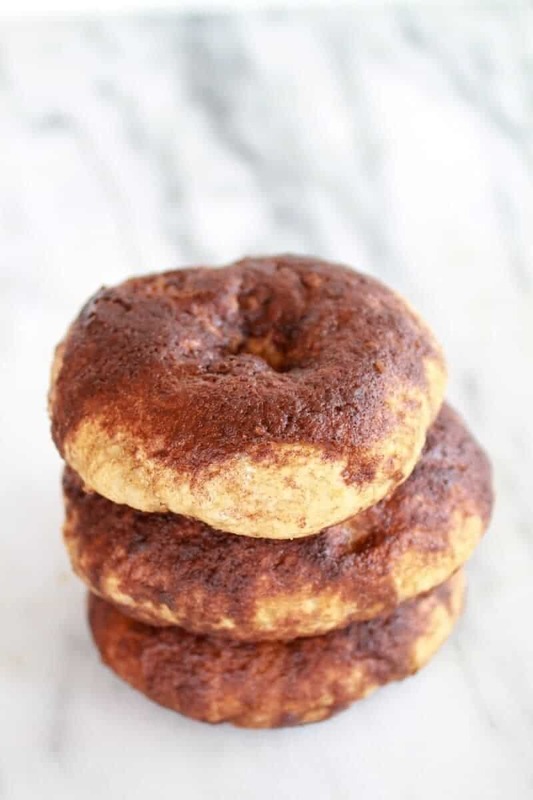 Bake for 20-30 minutes, or until the bagels are golden brown and the cinnamon sugar has hardend. Allow the bagels to cool. 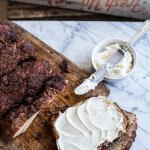 Slice, toast, eat whole, slather with butter or cream cheese! Yum! These look delicious! Just need a cup of coffee 🙂 Thanks for sharing at Church Supper. Have a blessed week & come back soon! I have been dying to make bagels! This is the perfect recipe! Thanks Dorothy! Homemade bagels are the best, you’ll never go back to the stuff from the store! Thank you Paula and thanks for pinning! We love bagels and we love this idea. Looks scrumptious. We are pinning this one for sure. hank you and thank so much for pinning! I haven’t eaten at Panera in forever but I haven’t forgotten about these either. 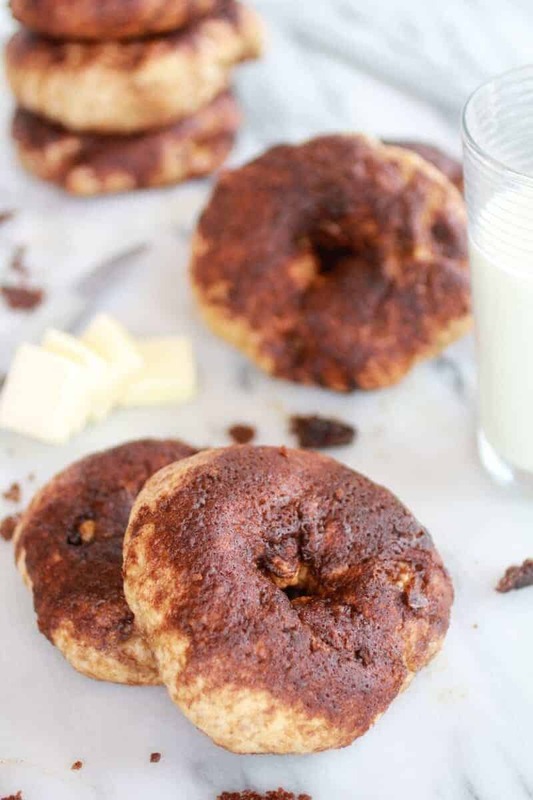 I’ve been looking for a bagel recipe to try and can’t wait to give these a try! 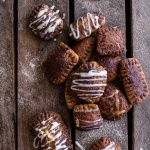 They will totally satisfy a craving! I hope you love them!!! Thanks for reading! 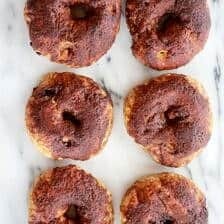 I made bagels one time before and wanted to make more, but I couldn’t think of a great recipe. This looks like the one. I can’t wait to try them. Homemade bagels are the best! I hope you love these! Let me know! I go to Panera all the time when I’m at school because I can walk to it and Panera > school food. Cinnamon crunch bagels are my usual at Panera- and now I have something to satisfy my cravings during school breaks! HA! I hope you love them! Thanks for reading! Pinned. Love this. 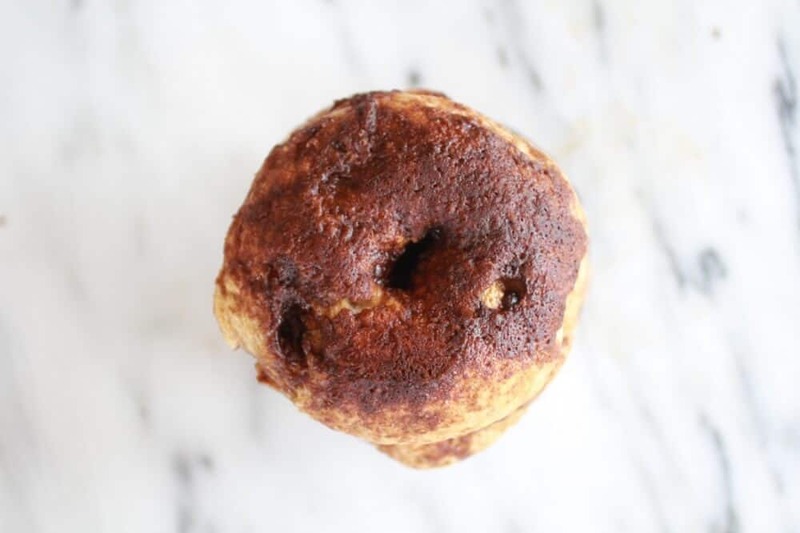 I have a non-yeast cinnamon bread for my Wed. post this week and I’ve done tons of versions of yeasted cinnamon breads and rolls but never bagels. Yours are awesome. Love those white choc chips pressed into the dough. That is a beautiful sight! Thanks for pinning the Averie! The white chocolate chips a just awesome in these and nothing beats a homemade bagel! I am going to check out your cinnamon rolls/ bread now!! Can’t wait till Wed. post! What’s the baking temp? They look yummy! Oops! Sorry about that it is 425 degrees. Cinnamon crunch bagels from Panera are my absolute favorite. Thanks for sharing the recipe. Yum! Awesome! I love getting cinnamon crunch bagels from Panera! Thank you! 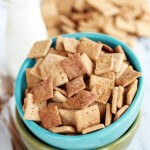 cinnamon crunch anything is always good! These look so amazing. I haven’t made bagels in forever. You are inspiring me to make them again. Ya! You need to make them!! Ha, how funny!! Hope you enjoyed it!! Thanks for pinning! How perfect! I hope you guys love these, let me know! Thank you and thanks so much for pinning! Hope you love these! These sound delicious! 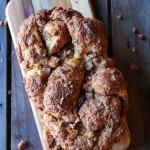 I love everything that has cinnamon in it or that is made of dough. 😉 Thanks for sharing. Thank you, Deanna! Cinnamon is one of my favorites! When I was at a layover in Chicago, there was a bagel place that had cinnamon crunch donuts. I thought they sounded AMAZING because hello, CINNAMON. CRUNCH. And since I don’t live close enough to Chicago (sad times) I have been thinking about them and here they are! They look AWESOME. Oh man Cinnamon Crunch is the best!! Hope you love these! With the CRUNCH FOR Breakfast or lunch too! Your photos make me want to try! Thank you!! Hope you give these a try and love them! Thanks and thanks so much for pinning Sarah! The bagels look awesome! 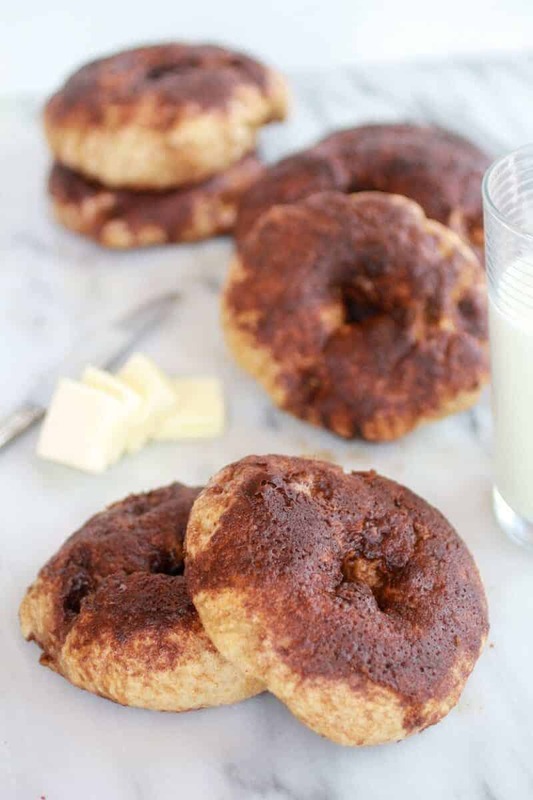 The cinnamon crunch bagels are my favorite at panera, I had never thought to try and make them at home! Thanks for sharing this. I’m pinning it to remember to make them! Thank you!! Hope you love these and let me know what you think! These look delicious. I love cinnamon. Thanks for sharing on Foodie Friends Friday. Those look and sound delicious! =) Thank you for linking up at the Pinterest Power Party! This recipe is being featured in tomorrow’s party – hope you’ll swing by and link up again! Plus, be sure to grab one of our new “featured” buttons – it’ll be in the party tomorrow! Thank you so much for the Feature!!! I will be sure to check it out! So glad you liked these Danielle! Thanks again! Oh goodness! These are my absolute FAVORITE bagels in the universe. I love love love them! The only thing I can imagine that’s better than Panera’s version is a homemade version so thank you!! You are so Welcome!! I really hope you love these and thanks so much for reading Chelsea! Thank you so much Cathy and thanks so much for following along on facebook! I am totally pinning these! I love making my own bagels. Stopping by from GSC. I hope you’ll come and share these at Pinworthy Projects on Friday! Thanks Carrie and thank for pinning!! Homemade bagels are the best! Will these still taste like Paneras without the white chocolate chips? Hi amanda! I am sure they will still be awesome without them and taste pretty similar to Panera’s. Hope you love them! I have tried to use the email button to share your recipes, but have not been able to email. Not sure what the problem is. HI Mary Ann Naylor!! Thank you so much for letting me know you are having and issue. I will look into this right away. Please let me know if you continue to have issues after the next few days. Thank you so much!! Just learned how to make new York style bagels and used Christina Tosi’s recipe for the everything topping. Can’t wait to make them with your topping next. I don’t have a website or anything. Just a guy who likes to cook for his family when he gets home from work. Such good therapy, and a way to bless your family. Of course I love the Panera version also, but would much rather make it myself. That is so sweet of you! I hope you love this recipe, Michael! Thank you! 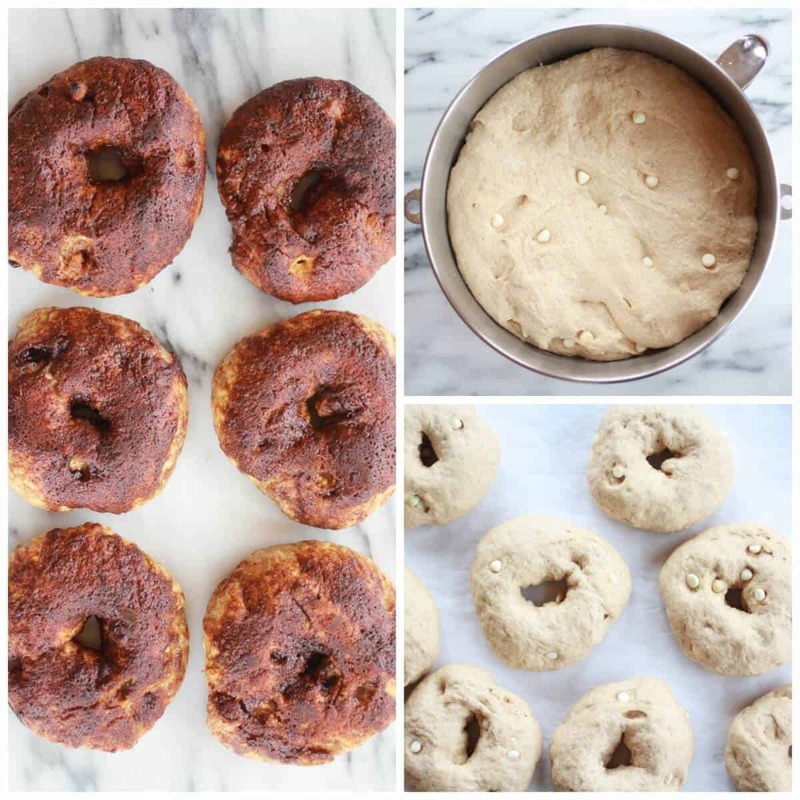 Do you think the bagels would work with almond flour?